North Yorkshire is England’s largest ceremonial county, making up one fourth of the UK’s largest and most historic county, Yorkshire. It’s also known and loved for being one of the most scenic counties, with almost half of it comprising of National Peaks, while sweeping coastlines, hidden caverns, spa towns and historic hamlets add to this county’s charm. 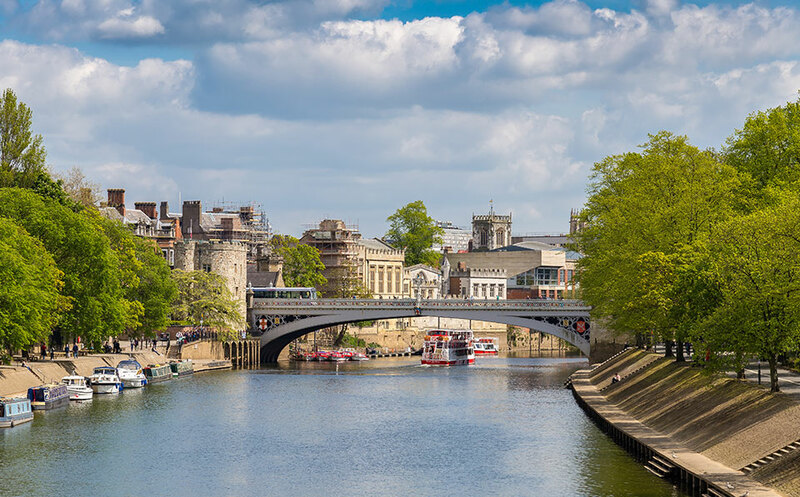 The ancient town of York is among one of the favourite haunts for visitors and residents of the region alike. Steeped in history, this town has kept a lot of its original features, giving it a unique olde-worlde charm. 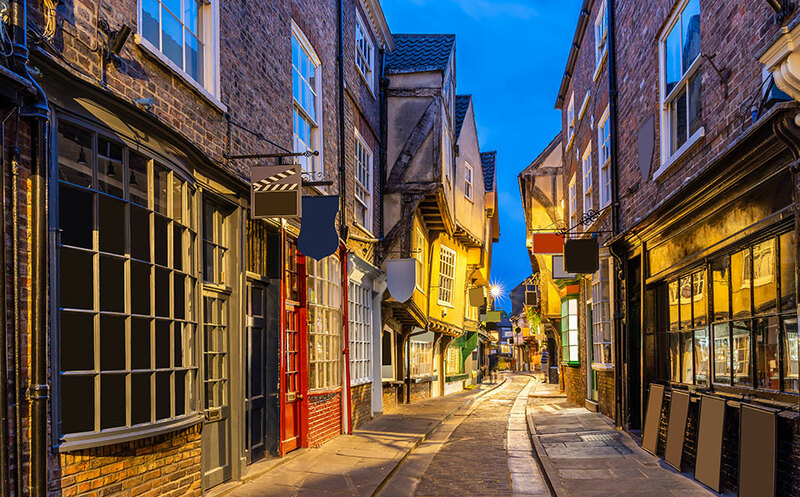 Wander down the quaint cobbled streets of The Shambles, take in the stunning architecture of St Paul’s Cathedral and enjoy browsing the independent retailers, cafes and pubs that help give York it’s character. 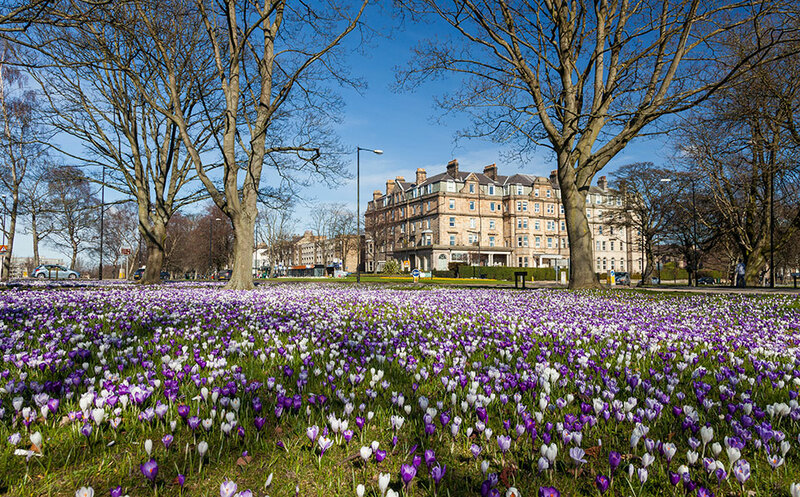 Another town renowned for its historic beauty and scenic gardens is Harrogate. Home to independent tea blenders Taylors of Harrogate and the famous Betty’s Tea Rooms, the town receives country-wide attention year-round. Another positive if you’re looking to buy a new home in North Yorkshire is the rising property prices. Rightmove figures show that between 2016 and 2018, the cost of a new home in York has risen 8%, while in Harrogate prices were up 5%. 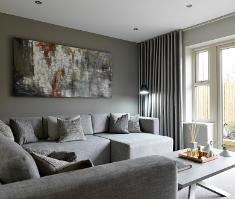 Strata are committed to providing new houses across the Midlands, with new housing developments in Dishforth near Harrogate, and Green Hammerton near York. 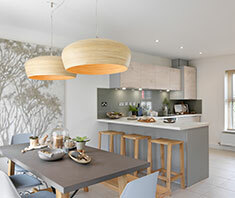 Find new homes for sale with two, three, four and five bedroom homes. 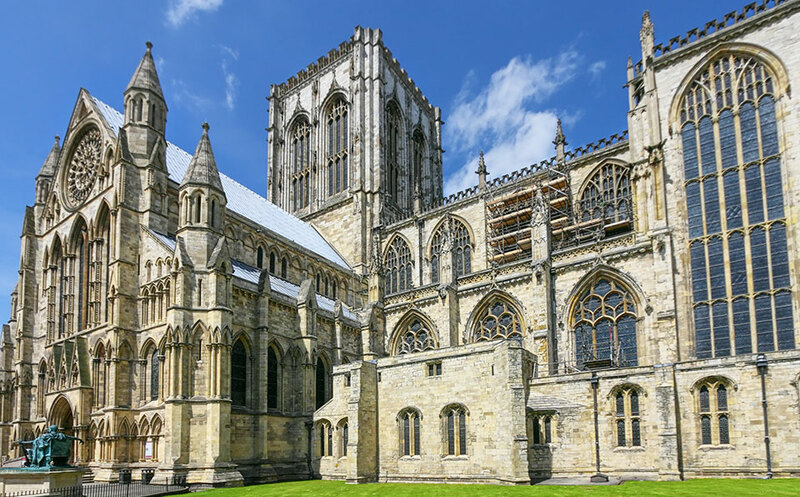 There's so much to heritage and culture to be explored in North Yorkshire. 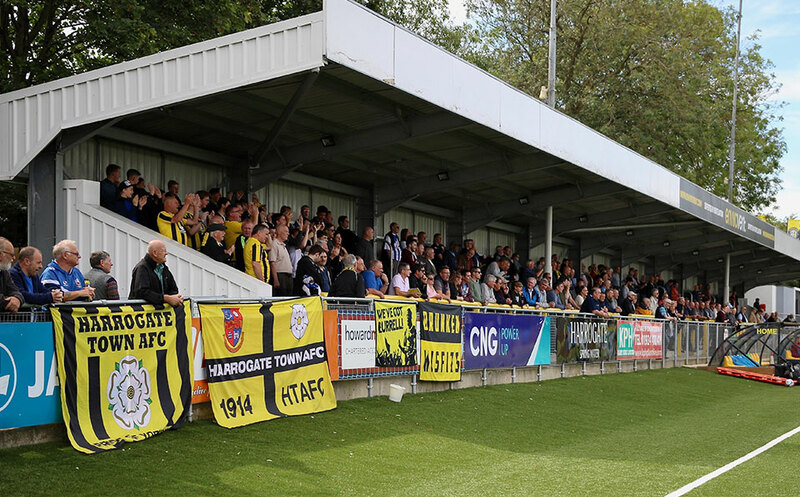 York and Harrogate both have histories that have helped to shape their unique and much-loved character today. 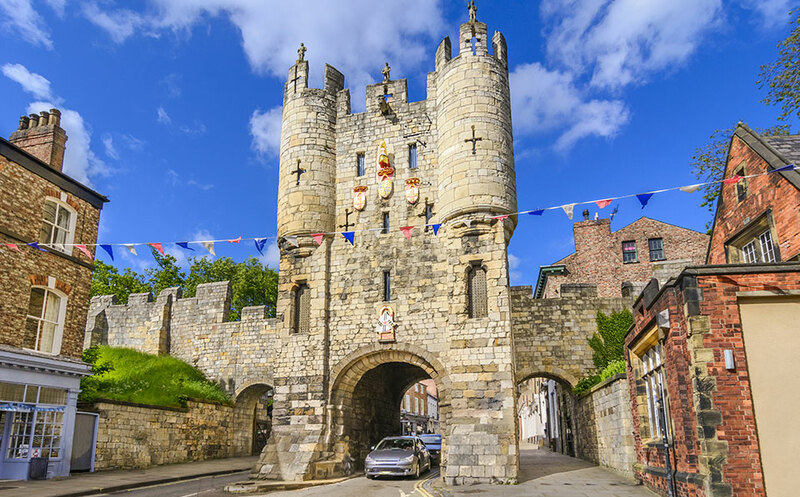 York’s colourful history surrounds you, from the mediaeval streets of The Shambles, to the ancient Roman walls that surround the city, offering amazing views of the landscape. 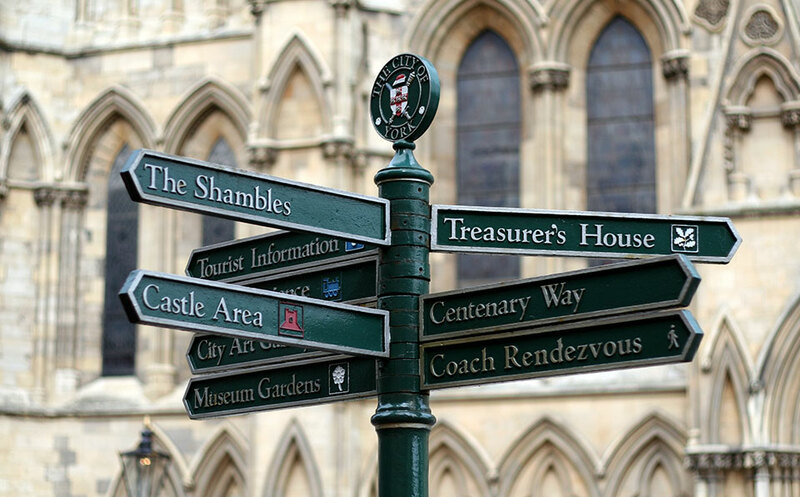 You’ll also find plenty about the York’s past in the range of museums dotted around the city. The Yorkshire Museum is home to some of the finest archaeological treasures in the UK, as well as rare fossils, animals and birds, with the beautiful botanical gardens surrounding the museum giving you even more to explore on a fine day. York Castle Museum is another family favourite, with their real Victorian street complete with shops and a prison giving an real insight into life in Victorian York. Over in Harrogate, you’ll find the Royal Hall Theatre and Harrogate International Centre, both world-class cultural venues offering a range of international events from comedy and classical music to festivals and popular artists of today. The town is also home to the luxurious Turkish Baths; a spa experience that many make a special journey to enjoy. With saunas and a spa pool surrounded by stunning Victorian architecture, it’s a unique and relaxing experience that we highly recommend. And of course, we couldn’t miss out the breath-taking gardens that Harrogate is so well-known for. The RHS Garden Harlow Carr is a firm favourite, with its location at the gateway to the Yorkshire Dales giving it a stunning backdrop. 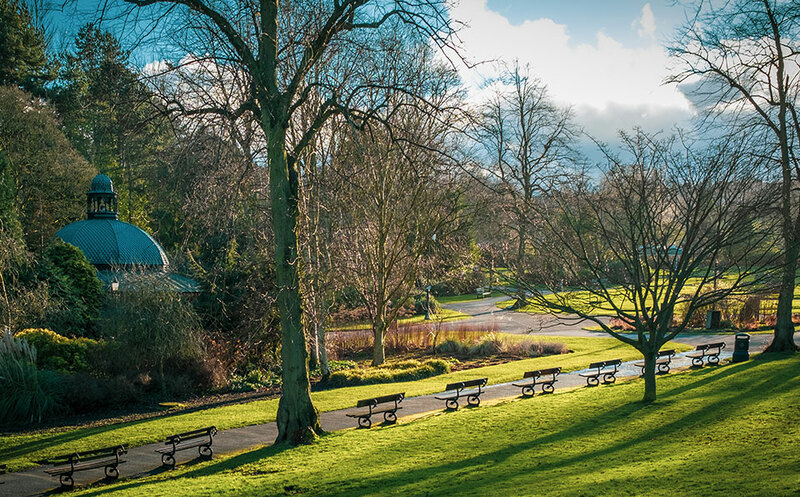 You’ll also find the English Heritage Grade II Listed Valley Gardens offer 17 acres of stunning greenery and beautiful blooms, making it a perfect location for a relaxed day out with the family. You can be in London in less than two hours by train from York. One feature these locations share is their great transport links. York and Harrogate both have home to well-connected train stations, with services to other parts of Yorkshire and much further afield. 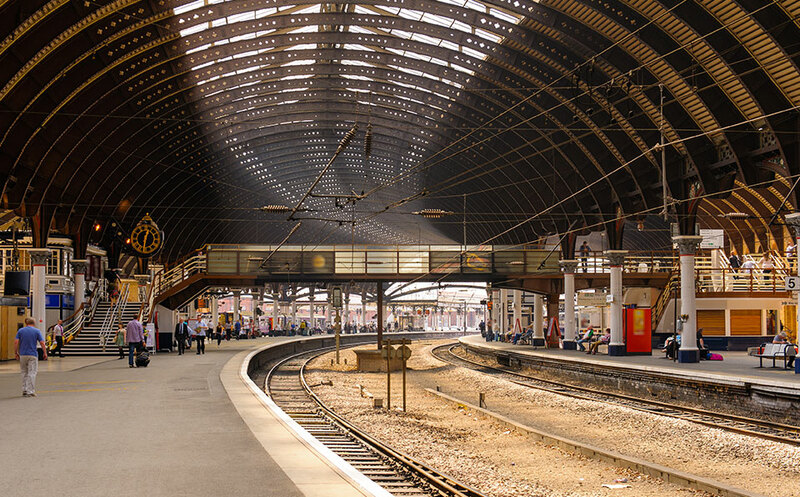 York has regular train services to and from London Kings Cross, with the journey taking a little under two hours, while taking the train from Harrogate to London take around three hours. From both stations, you can also reach more local cities and towns including Bradford, Doncaster and Scarborough. 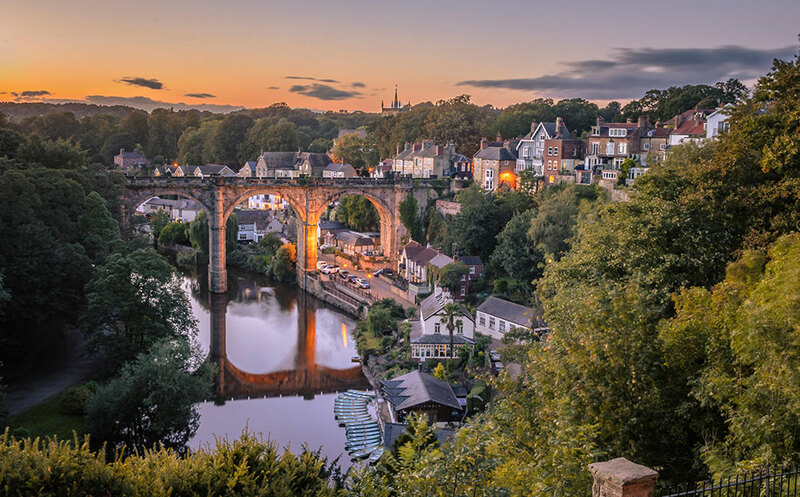 York and Harrogate are both close to the A1M, which runs from Durham to Doncaster and offers convenient access to locations including Knaresborough, Wetherby and Leeds. It’s also easy to travel internationally when you live in North Yorkshire. Leeds Bradford Airport is less than 13 miles from Harrogate and just 30 miles from York, with regular flights to international destinations including Cyprus, Croatia, Portugal and more. Strata’s new homes in the North Yorkshire have been planned with an understanding of how vital transport links are for commuters and families. Houses for sale in North Yorkshire are quickly snapped up, as the popularity and desirability of new houses continues to grow in the region. There's a diverse mix of eclectic independents and high street names in North Yorkshire. York and Harrogate have a diverse mix of both independent boutiques and high street retailers, making them a popular shopping destination. 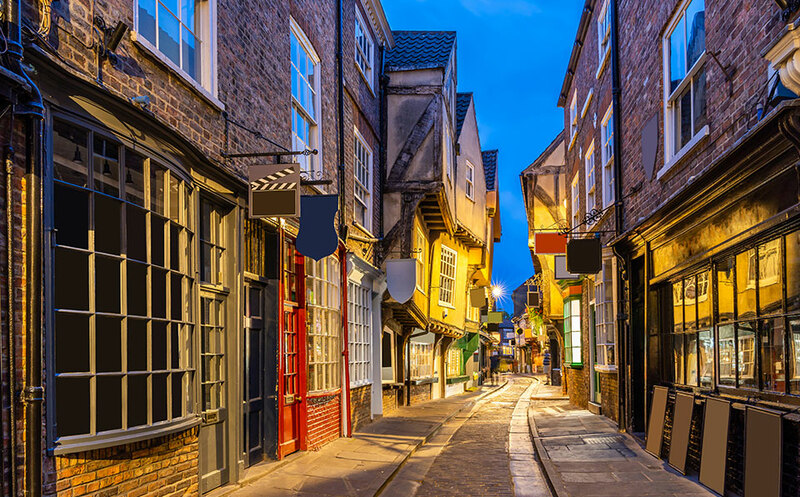 The Shambles, York’s quaint cobbled street, is home to independent boutiques and retailers that have been around for many years, from chocolatiers and handmade leather handbag stockists, to contemporary jewellers and Harry Potter-themed gift boutiques. You’ll also find high street brand names from Oliver Bonas and Links of London to Primark and H&M on York’s main shopping street. If you’re looking for favourite brand names at a discounted price, look no further than York Designer Outlet, just outside of York. Offering a Park and Ride facility into the centre of York, the outlet is home to major brand names including Michael Kors, Ralph Lauren, Calvin Klein and many more. 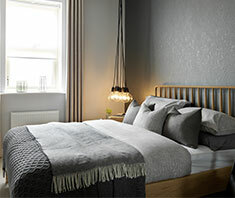 Similarly, you’ll find a selection of both independent retails and household names along the picturesque streets of Harrogate, as well as the monthly Farmers Market which offers the best in local and organic fresh produce. From famous teas to international eats, you'l find something for every taste. It’s been said that, outside of London, Yorkshire has the biggest number of amazing restaurants in the UK. York and Harrogate have their fair share, with an array of food and drink experiences from local offerings to international cuisines, with a range of wines, craft beers, ales and spirits to wash it all down. The Star Inn the City can be found in the heart of York and is ran by Michelin-starred chef Andrew Pern. 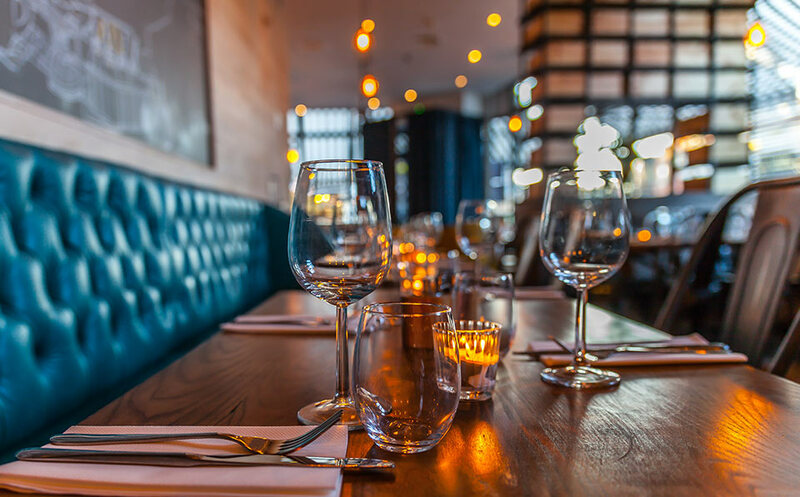 Mr P's Curious Tavern is Andrew Pern’s latest brainchild, found on Petergate, offering a tapas of small plates from around the world; there’s literally something for everyone. Another venture from a Michelin-starred chef, Roots is a new sharing-plate venue from Tommy Banks, formely of the Black Swan (Oldstead). The menu is inspired by homegrown and foraged ingredients, it is a contemporary and creative take on tradition and culture. For real ale fans, York is home to two fantastic breweries, Brew York and York Brewery, which offer a vast selection of ales and craft beers to tick off your list. Visit any of the many pubs dotted around the centre to sample both local ales and beers from further afield. If you’re a fan of traditional tea and cake, you will love the famous Betty’s Tea Toom. Well known for its delicious cakes and variety of teas, Betty’s is located on the corner of Helen’s Square and is never without a queue of thirsty customers that stems around the block! There is also a shop where you can take home some of the mouth-watering cakes, scones and teas, as well as a smaller Betty’s on Stonegate. famous for its mouth-watering cakes and never ending selection of teas. Over in Harrogate, you will find the original Betty’s Tea Rooms, which has been serving delicious teas and cakes since 1919. This beautiful building is steeped in history, much like the rest of the town. And that’s not all. Harrogate boasts around 130 dining experiences, with cuisines from around the globe leaving you spoilt for choice! The town’s diverse selection is what keeps shows like The BBC Good Food Show and Cake and Bake keep coming back for more.